Oh, my your little one is much smaller than I thought! Sorry!! LOL.....well, at least she can grow into it. Did you find your apron too? 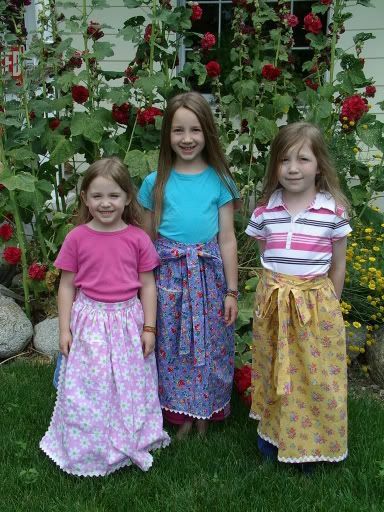 It is a mixture of all of the fabrics used for your girls's aprons! You can just roll up the pink one around the waistband a couple of times to get it to fit for now. Or, just cut it off. Your girls are so very precious! !